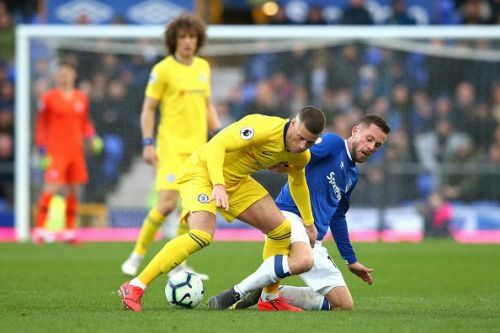 Everton defeated Chelsea 2-0 at Goodison Park on Sunday in a showing which brought awe and amusement to their supporters but a real trauma for the latter's fans. The fact that the Merseysiders had not won against the Blues since early 2016 and had failed to score a goal in four of their last six encounters were no determinants. Solid performances from Jordan Pickford, Richarlison and Gylfi Sigurdsson ensured that Marco Silva's men took three points away from the game. As for Maurizio Sarri, his side was left pondering how they did not get any points from the game after starting well in the first half. The Blues looked the more likely team to get the three points after a strong start to the match. They came closest to scoring, unlike Everton. However, the Toffees opened the scoring right after the break and Chelsea were unable to stage a comeback. We pick out three reasons why the Blues from London failed to dominate proceedings at Goodison Park on Sunday. In the first half, Chelsea created a lot of chances and Ross Barkley along with Pedro Rodriguez and Eden Hazard were to thank for most of them. However, they could not make the most out of them and ended up having not scored any goal for the entire match. 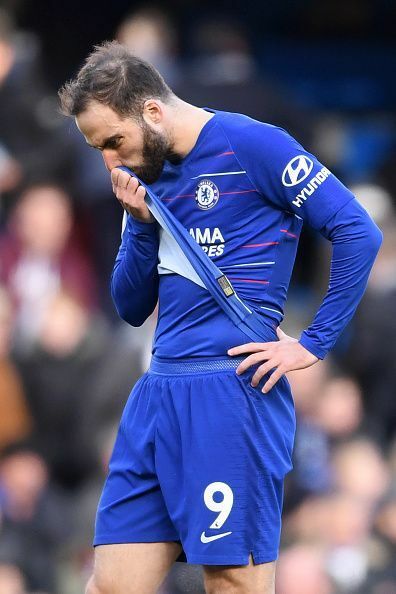 For being the number nine and sole striker of the team, the buck must stop with Gonzalo Higuain but the others were to equally blame. Hazard wasted a lot of chances and gave the ball away quickly whenever scoring opportunities arose. Chelsea must improve their composure in front of goal if they are to contest for the top 4 positions in the Premier League this season. Chelsea were also overambitious as the stats show that they had 7 shots hit outside the penalty area as compared to Everton who tried only three of those. As much as Jordan Pickford was kept busy, he dealt well with the pressure to deny his opponents. Before manager Maurizio Sarri brought along Jorginho with him in the summer from Napoli, N'Golo Kante was the pivot around which Chelsea revolved. He played in a deep central midfield role and rotated and distributed the ball well. Ever since Jorginho came in, however, Kante was reduced to play on the right side of midfield where he hasn't exactly been at his best. On Sunday, he was below par again. He failed to find space to run into and could not penetrate Everton's defence line. As much as the Blues had more possession, they lacked creativity on the field. 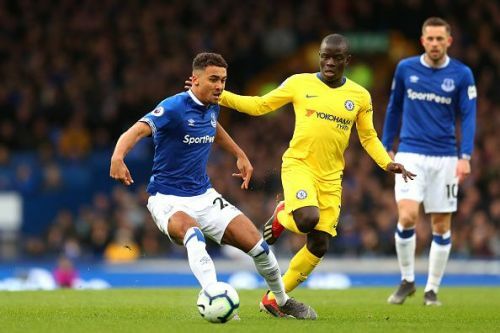 Sarri must review Kante's right central position on the pitch because right now, it is doing more harm than good for the Blues from Stamford Bridge. More notably, Graeme Souness slammed the decision to play wingers who do not score goals. Whilst Kante is an excellent midfielder, he lacks the attacking instinct that teams need. Chelsea centre-halves David Luiz and Antonio Rudiger were highly ineffective on Sunday. They were reduced to mere pawns in the high-speed chess game played by Everton's attacking force consisting of Richarlison, Gylfi Sigurdsson and Dominic Calvert Lewin. 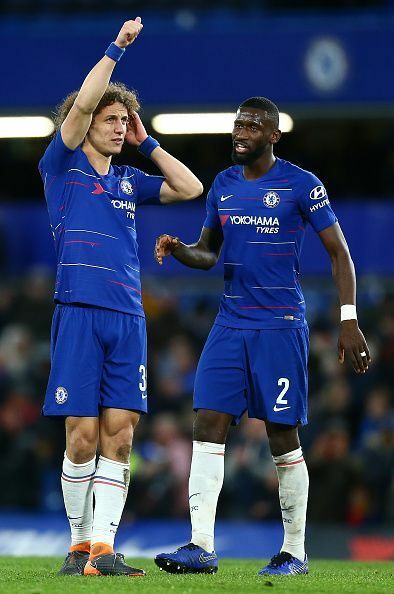 Both Luiz and Rudiger will come in for a lot of stick and rightly so because their technique and composure with the ball were highly questionable on Sunday. Manager Sarri must make it clear to players like Luiz that their basic role is that of defending and man-marking and not playing the ball in the air well. Rudiger even picked up a silly yellow-card during the game. The defenders were not up to standard and it cost them the points up for grabs.